The Washington Post revealed their findings Tuesday night. In the bombshell report, the editors share that a Hillary Clinton campaign lawyer retained Fusion GPS, a Washington firm that conducted research into whether Trump colluded with Russia. Even New York Times reporters were outraged. DNC Communications Director Xochitl Hinojosa exonerated the current leadership team from any participation in the scandal, but she did not exonerate the DNC as a whole. BuzzFeed News published the dossier in January - at which point Hillary Clinton reportedly became aware of it. Yet, when asked about his own involvement, DNC Chair Tom Perez claimed he had no clue what the dossier was until this week. "Well, no, I learned about the dossier a few days ago, ok?" Perez said at the University of Chicago Institute of Politics. The DNC Chair, who was appointed in February, added that he doesn't see what all the hubbub is about, noting it is routine procedure for campaigns to conduct opposition research. 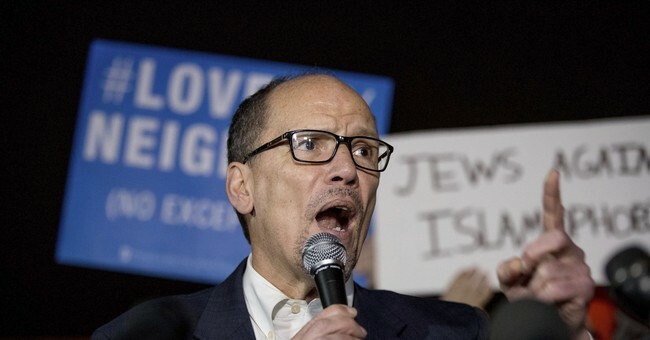 "You hire a lawyer and we hire lawyers all the time who hire third party vendors to do their work and so we knew that we were paying for opposition research at the DNC, but we didn't ask questions about who they're hiring in the context of doing their research," Perez added. "And what we know is that Donald Trump, you know, we had very strong reason to believe that Donald Trump and the Donald Trump campaign and the Russians, were potentially conspiring to affect the election for the President of the United States." House Intelligence Committee Chairman Adam Schiff (R-CA) has sent out a subpoena for Fusion GPS's financial records. His colleague and ranking member of the committee Adam Schiff (D-GA) doesn't see it as a necessary means to the end of finding out if Russia jeopardized our election. You know, the plain fact is, sometimes what is uncovered in opposition research turns out to be true. And here if what Christopher Steele found, whether it was work for a Republican candidate and a Democratic candidate later, proved to be true, proved to be of concern to the FBI and to the country, then we need to know it and we can't ignore it merely because it came to the surface during a political campaign. Former Director of National Intelligence James Clapper agreed, telling CNN "it doesn't matter" who paid for the dossier. President Trump has dismissed the "fake" dossier and has denied any collusion with Russia.